Essential Oil Cleaning Hacks to Make Your Life Easier! Essential Oil Cleaning Hacks that will make your life easier, clean your Bathroom, Kitchen, Living Room and more using these diy cleaning recipes with essential oils. 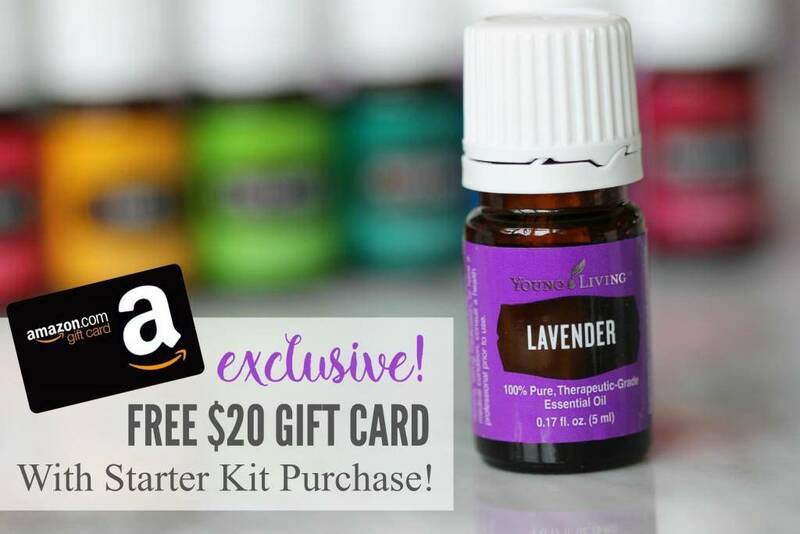 You can use Essential Oils for Everything! Check out this huge list of 20 of the Best Essential Oil Cleaning Hacks to simplify your life and get your home clean without all the chemicals! Going on Right Now –> New Grove Collaborative Members can get $30 worth of FREE Products when the place their first order of $20 or more + You’ll also get Free Shipping and a 60 day membership to Grove Collaborative! I love that Grove lets me stock up on Cleaning Essentials like Mrs. Meyers for less than the cost of Target without leaving my house! Just place your order online and all your favorites are shipped to your door! Get all the details here. That’s an amazing value! 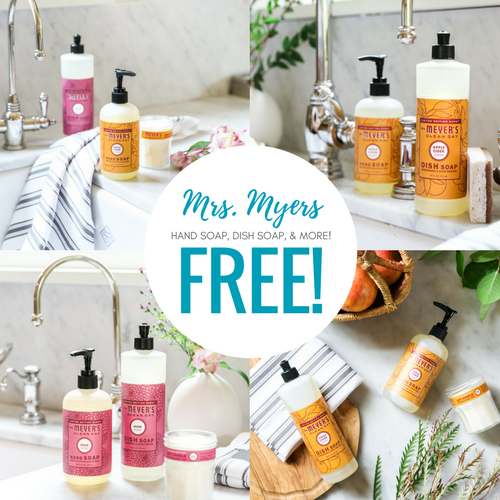 Over $25 in FREE Mrs. Meyer’s Products and some of the best selling Grove Collaborative Items for you to try when you join today! Add in a few drops of lemon or orange essential oil with your vinegar to clean your Keurig. Get detailed instructions here. Use old Rags and make your own homemade cleaning wipes by combining vinegar, dish soap and your favorite essential oils! Create your own Lavender and Lemon Linen spray using essential oils, water and alcohol! Spray on your sheets or pillow to freshen it up! You can make this Basic Homemade Lotion Recipe then add in your favorite essential oils, not only is this lotion amazing for your skin, the essential oils have an added benefit! You can make your own De-Greaser using essential oils and castile soap, this is perfect for keeping your home clean without all the harsh chemicals. Use a mixture of Baking Soda and Essential Oils, Sprinkle over your carpet, then vacuum up to make your home smell fresh and clean! 8.) Keep Your Bathroom Smelling Fresh! Place a few drops of essential oils on the cardboard part of the toilet paper roll, every time the toilet paper is unrolled it will release the freshness from the essential oils. Use a Natural Wood Bracelet as a Diffuser, you can place any of your favorite essential oils on a wooden bracelet and get the benefits of essential oils on the go. Mix Witch Hazel and Water in a small spray bottle and add in a blend of Peppermint, Tea Tree, Eucalyptus and Thyme Essential Oils to keep your shoes from smelling. 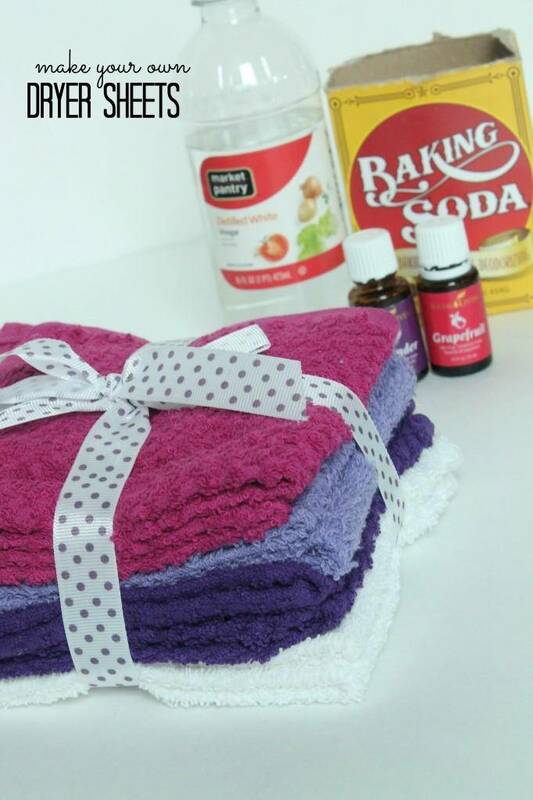 Make your own Dryer Sheets with a mixture of Essential Oils, Baking Soda and Vinegar. Soak towels or washcloths in this mixture then let them air dry. You can get up to 12 uses per sheet. Use Lemongrass Essential Oil combined with Arm & Hammer Washing Soda to make your own dishwasher tablets. This is a great way to save money and eliminate harsh chemicals! Place a few drops of Essential Oils on a Clothespin to keep your car smelling fresh and clean. The clothespin acts as a natural diffuser for the essential oils. 14.) Refill Your Wallflower Plugins! Remove your Wallflower Wick and fill the bulb with the Essential Oils of your choice to the halfway point. Then fill the remaining bulb with water and replace the wick. Use Essential Oils to make your own Wax Melt Refills. Just melt Soy Wax Chips, Add in your favorite essential oils and pour into a mold. Fill your favorite mason jar with Olive Oil and water, then add in your favorite essential oils. You’ll have an easy to make candle in a matter of minutes + the Olive Oil burns clean and doesn’t add any additional chemicals into your home. Open up your Kleenex Box and place a few drops of Peppermint or Eucalyptus Essential Oil on the tissues. This will help open your nasal passages as you blow your nose! Plump up your lips by adding Peppermint Essential Oil to your favorite lipgloss, or make a homemade lip gloss using Peppermint oil! Get Fuller Lashes by adding Lavender Essential Oil to your mascara! This supports healthy hair and lashes and makes them look amazing! 20.) Use Lemon Essential Oil to Clean Your Grout! Get the dirt out of your Tile Grout with Lemon Essential Oil and a paste of Water and Baking Soda. Grab an older toothbrush and go to town!